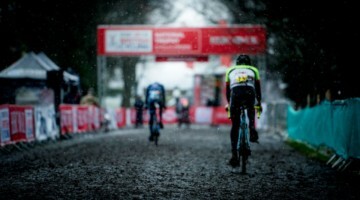 No matter the weather, the cyclocross race will likely go on. 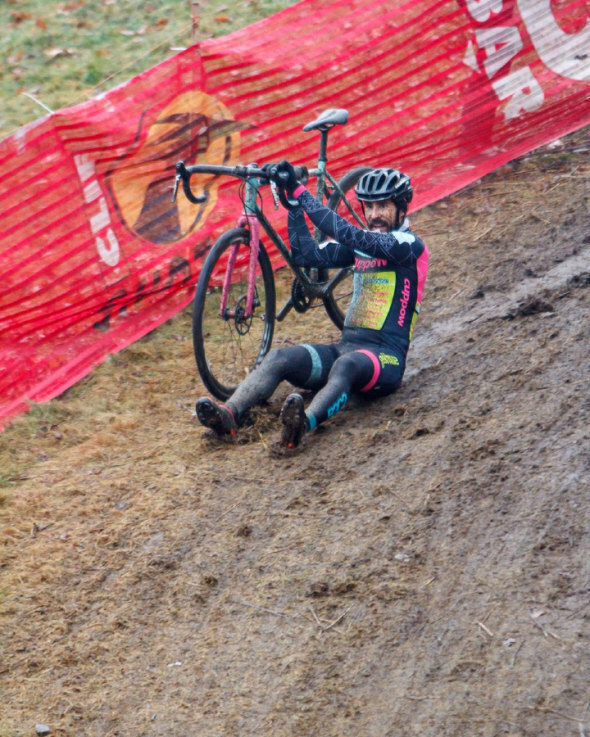 Last year during the UCI Baystate Cyclocross weekend, every corner was a sheet of ice and the snow churned the course into a mud pile, effectively turning one everyday descent into a literal slip-n-slide. In Austin, TX, where the 2015 Nationals will be held, it is not unusual for the annual Six Shooter race to hit temperatures of 103°F. The Midnight Ride of Cyclocross, the kickoff event of New England’s Holy Week, is aptly named as half the races take place at night under stadium lights. 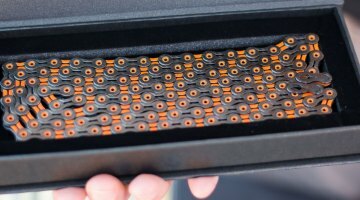 In 2013, Nationals was freezing, and the Masters Worlds course needed to be drained to make it ride-able, but still, the races happened. Race promoters might delay the race or even cancel it in the event of large snowfalls, but that doesn’t stop other promoters from sticking to the original plan even if it means the first riders of the day are wading through four feet of snow. Some might even be sadistic enough to cross their fingers for that kind of weather so they can bring all of their nephews and nieces along to throw snowballs at anyone foolish enough to actually race on the course. Ask most pro racers which kind of conditions they prefer and they will tell you they love the mud. 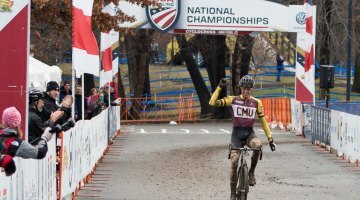 Cyclocross culture even has its own names for different types of mud. There’s the slippery grease-mud, the traction-aiding peanut-butter-mud, and there’s even cement-mud, but that last one could also be called the frozen ground. These all come with the timing of the rainfall and with different temperatures. Moral of the story? Be prepared for the worst. 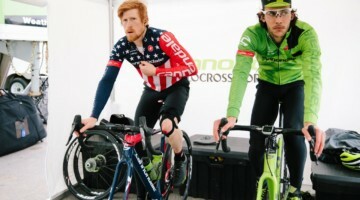 Riding cross-eyed with your legs full of pain is tough enough—you don’t want to be forced out of your race from being too cold. If it’s raining, an extra set of clothes for the pre-ride and warm-up is highly recommended. A waterproof jacket and pants is also helpful in keeping you warm until you head to the start line. Don’t take off those layers until you have to. Most elite racers roll to the start line bundled up like ice fishermen at a slumber party. Don’t forget to bring a warm set of clothes to change into after the race. You’ll want to watch others suffer through the same conditions, and a nice warm jacket will let you enjoy a nice cold beer and some food while you watch the show. In the wet and cold, consider using embrocation to keep your legs warm instead of legwarmers that will soak through in seconds—we have a full set of embro reviews here—but apply carefully. The full effect of embrocation usually takes 20 minutes to kick in, so the slight tingle of heat you initially feel will fire up, especially when wet. Don’t speed up the process by putting embrocation on before your chamois cream, though. It won’t take 20 minutes for you to regret that mistake. Also remember that embrocation is not a substitute for a pre-race warm up, and assuming that your legs are good to go while you’ve been waiting in your warm car is a recipe for pulling a muscle. 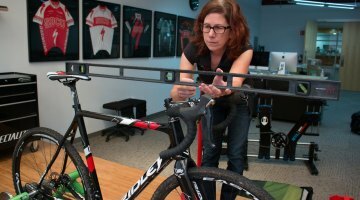 In extreme conditions like the 2013 USAC Cyclocross National Championships, plain water by itself couldn’t be used to clean bikes because it would ice up. 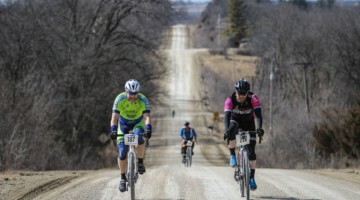 If you’re committed to racing in those types of conditions, you get a big pat on the back, but you’ll also need to incorporate some type of antifreeze to keep the gears turning. 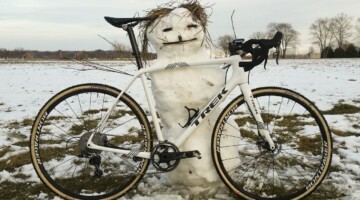 Cyclocross in any weather requires a lot of spare clothes and a dedication to maintaining your bike: It doesn’t have to be super expensive, but it does take some serious forethought and planning. AdamMyerson cyclocross Hey, what about Le Mans starts? jverheul cyclocross That tweet is misleading. Article isn’t even about the question posed. Bait and switch! AdamMyerson so is it true? 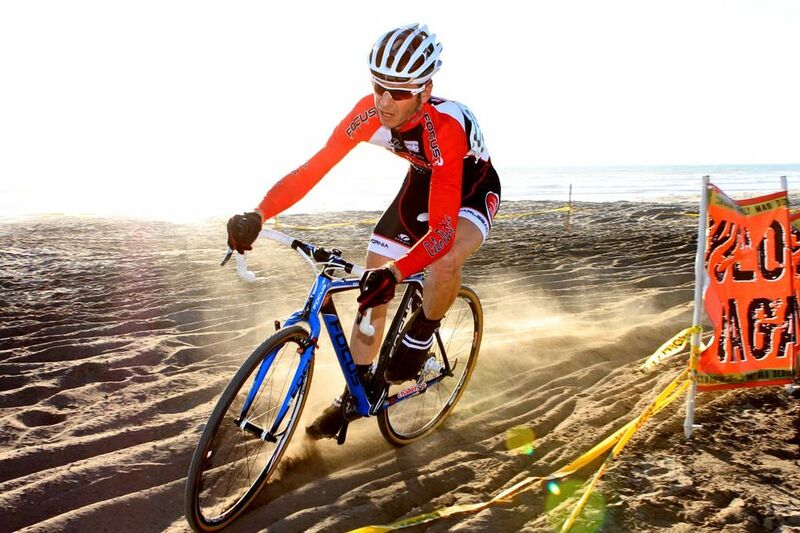 as a pro, do you just totally love the mud? yes, some super dry dusty courses should be hosed down. not every course needs mud, but it can be a fun added challenge. Yep if its too dry and dusty a little water can make it tacky and better…. but tuning courses into artificial mud pits seems tacky in the sense of it being a gimmick. If it’s warm enough. If you tried to hose down a CX course in Kansas mid or late season you’d end up with hard, frozen ground after 30 minutes. cyclocross only in the land of excess and waste is this a question. cyclocross Only if you start out hosing down the race. Muddy corners suddenly appearing on lap 3 aren’t much fun. Especially from the ER. No. Not, unless promoters want to subsidize racers for the extra equipment wear and tear. Up to the promoter. If you don’t like the course, don’t race. So it looks like I’m aligned with the general consensus: artificially wetting the track to reduce dust is okay, but not to fabricate mud pits. Of course here in Oregon the question is usually moot. AdamMyerson jverheul But it is a question that derives from the article, no? Some Cross 101 fun ending with giving readers the microphone. cyclocross jverheul The tweet asks a question not raised in the article. Implies an opinion piece, not coaching advice. AdamMyerson jverheul fair point. Thanks for keeping us honest, Adam! Please, let’s not make everything into a Circus. I love mud. So yes. Maybe promote it on the advert so everyone knows what to expect. Please no!! This isn’t the Woodstock reunion. Completely up to the mad-scientist, race course elves. They do the work. They choose the mayhem. in a word, no. 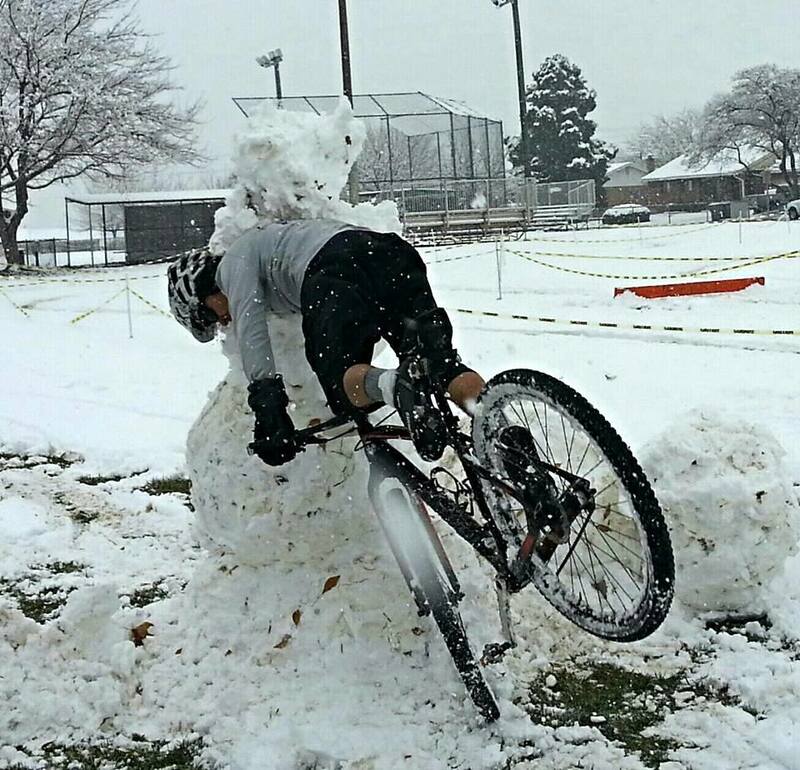 Cycling as a sport has always taken whatever weather nature provides, no need to “enhance” it. Why don’t they start shooting dye into the air too??? Or have people wear ugly sweaters??? Seriously, if you need the race to be a social event or gimmicky, you shouldn’t be racing.ride for the love of the sport!